A premier junior golf academy for the development and instruction of young boys and girls who desire the knowledge and skills to become competitive golfers or to play for the true enjoyment of the game. We strive to provide a fun environment but at the same time teaching them the overall skills and knowledge needed to play the game of golf. 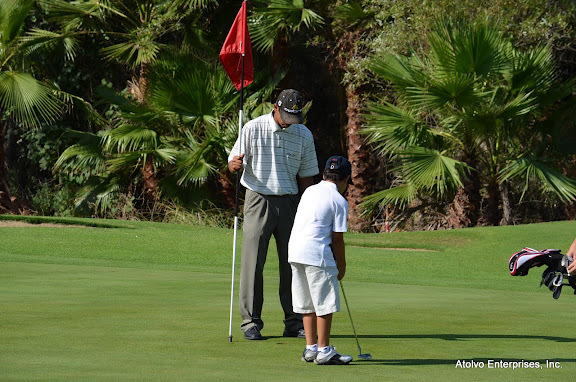 The game of golf teaches your child to respect others, integrity, sportsmanship, and self-confidence. Important life skills that they can continue to achieve for a lifetime. We teach a life learning program designed for juniors. Our goal is to teach children the correct fundamentals of the golf swing. The knowledge, positions and training are the same at any age. Ultimately, the method of delivery varies to accommodate our students. We offer group classes, private lessons, camps, and special programs from beginners to advanced golfers. The student’s ability and age are taken into consideration during his or her first evaluation to determine his or her individual needs. We will use many techniques including video, training aids and drills to illustrate to students the positions necessary to achieve their goals. We will work on all aspects of the game including full swing, pitching, chipping and putting. We will teach them practice drills and more importantly, how to practice. The amount of practice will be a minimum suggestion designed around age and ambition, but more importantly we will teach your child to enjoy the game of golf. 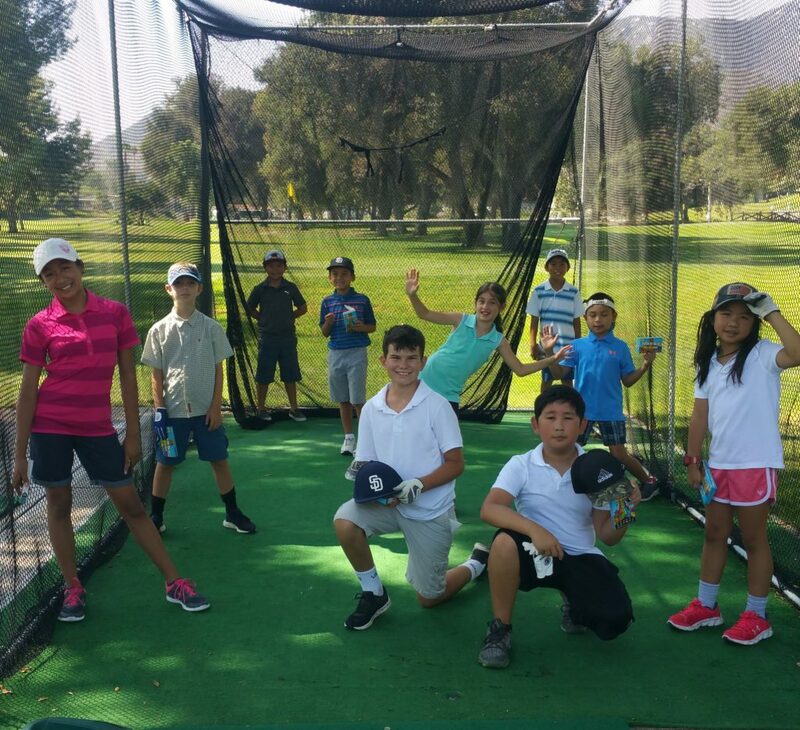 Jey Bacani, PGA Junior Sticks Golf Academy coordinator has been teaching juniors of all ages for over 20 years. Jey has helped elementary aged children to become competitive junior golfers as well as high school students to go on to become successful college golfers. Come see Jey at the Hodges Golf Improvement Center in Escondido. The group golf class is in a group setting with other children. The maximum teacher to student ratio is 8:1, 5:1 for 4-6 year old specific class. Students are taught the basic fundamentals of the full swing, short game, and putting in a fun and relaxed environment. Students will receive tips and proper drills to help them with their skills. Each student will get some 1-on-1 time with the instructor. Duration of 1-on-1 will vary depending on the size of the class. There is no better way then to have your child practice with a PGA teaching professional present. If there is uncertainty if your child is interested in golf or not, maybe a golf class would be the option for your child. This form of lesson would also be sufficient to a child that just enjoys learning the golf swing but does not want to be committed to a longer program. Also offered is “Sunday Play Day with Jey”. 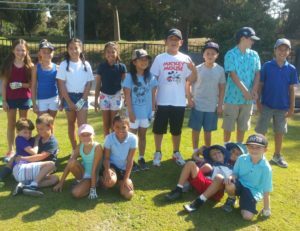 This session is conducted at Welk Resort Golf Course and the kids get to apply what they have learned on the golf course. They will learn basic rules, etiquette, club selection, shot selection, etc. All skill levels welcome. Only prerequisite is that the child take a minimum of 4 group classes with Jey prior to registering. Sessions are on the 3rd Sunday of every month. 4-6 years old are from 2:30pm-3:30pm and 7-12 years old are from 12:45pm-2:15pm. *All clinic times will alternate every week from full-swing class and short game/putting class. This is the best way for your child to learn and progress more quickly. Your child will be provided with the instructors undivided attention in a one-on-one setting. The student and teacher will work together on building a sound golf swing in which he/she can carry for the rest of their golfing career. Jey Bacani, PGA Teaching Professional uses the aid of the most advanced launch monitor technology and video equipment to help analyze the students golf swing. Most people are visual learners and with the aid of the equipment, the student will see themselves swing and be more prone to correct swing flaws more quickly. This option is recommended for juniors who are serious about the game of golf and want to learn in more detail. 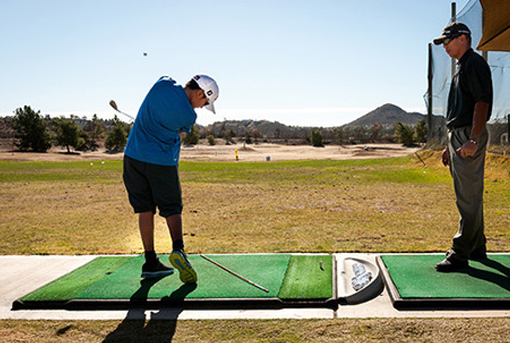 Typical types of junior golfers who show serious interest are junior high/middle school students who want to try out for the high school team in the future; high school students who want to improve on their game; or high school students who want to become successful college golfers. Ultimately, golfers who take their game seriously will participate in some form of tournament format. Private instruction will help them in preparing for these events. This special package consists of 3 group classes and 1 private lesson. The group clinic will be in conjunction with the on going classes. The classes cover all the physical aspects of golf; full swing, short game, and putting as well as some rules and etiquette in a group setting. Your child may attend 3 of these classes. Included in this package is 1 private lesson. In the private lesson, your child’s swing can be captured digitally on camera by way of the newest golf video technology on the market. This system will allow me to break down his or her golf swing frame by frame and really pin point the areas that can be improved upon. Not to mention, the kids enjoy seeing their golf swing in slow motion. Lessons, classes or private, may be used in any order you choose. With over 42,000 participants in 2018 – and Ambassadors including Rory McIlroy, Michelle Wie, Rickie Fowler, Lexi Thompson, Stephen Curry, and Alex Morgan – PGA Jr. League has wide-ranging appeal for both youth and their parents. Registration opens on February 1. You must register through the PGA Junior League website. www.pgajrleague.com If you are interested in having your child participate, the deadline for registration is March 31st. Here is a little more information of what to expect regarding the PGA Junior League program that might help you decide if it is something you want your child to participate in with us. For additional information, visitwww.pgajrleague.com. Check out this two-minute video, where you’ll hear from parents, players, Captains and some of our Ambassadors! 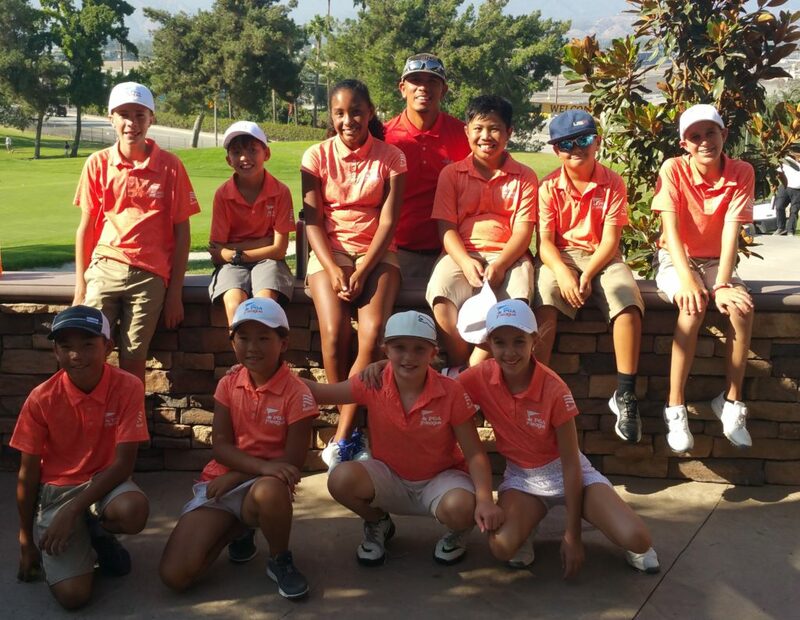 PGA Junior League Golf (PGA JLG) is designed to better socialize the game of golf for children 13 and under. The program features a team-vs-team format in a structured league providing a popular, less stressful, scramble format. PGA JLG is a great way to get the entire family involved in golf, with parents as spectators, team-parents, and even coaches. There is no individual scoring in PGA JLG. The two-player scramble format allows for all participants to feel connected with the team. Strong play is rewarded, while a poor shot does not lose the hole. Players of all skill levels are welcome and will contribute to the team’s success. Every player gets to play…in every competition. One of PGA JLG’s most popular innovations is our numbered team jerseys. Introduced as part of the uniform for the inaugural JLG World Series in 2011, numbered jerseys will be supplied to all players and teams. Kids are accustomed to wearing numbered uniforms in other youth sports, so why not golf!!! This helps build a sense of identity for each participant on their PGA JLG team. After the regular-season Junior Sticks Golf Champions are crowned, All-Star Teams are formed to compete in the advancement phase of PGA JLG. Advancement will take place through Regional competitions which will produce Regional Champions. These Regional Champions will compete in the PGA JLG Championship. Fee: $300. No other fees will be required in the the regular season. If your child advances into All-Stars, a minimal additional fee will required. Please visit this wonderful golf course in north Escondido just minutes north of Hwy 78.